Pikmin 3 Wii U Who would have thought it has been nearly 10 years since the Last Pikmin game and Nintendo have a real winner on their hands with Pikmin 3 that has not only streamlined the gameplay but seriously improved it. This is not some lazy port for the Nintendo Wii but rather the return of greatness, the return of the army, the return of Pikmin! That famously addictive action strategy game has finally arrived on the Nintendo Wii which not only looks amazing but plays amazing, thanks to the streamlined gaming mechanics. 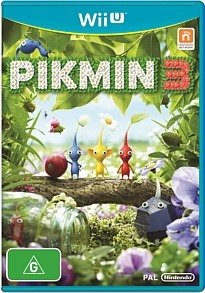 Pikmin 3 is also the game the Nintendo Wii needed and after being relegated to the console wilderness, this console has now become the centre of attention again. In terms of control, you can play with a variety of controller options that such as the Wii Remote/Nunchuck or my favourite, the new Wii U GamePad. I just found the GamePad more in-depth in terms of controlling your Pikmin, especially the touch screen to give commands plus the radar and map abilities. Interestingly enough, all control methods work well that in turn make local play a real fun activity. For those who have no experienced Pikmin before, this game is a streamlined action strategy game and allows players to dabble in this colourful world with some truly whacky characters and original gameplay. Although the game is more akin to the original Pikmin game opposed to the sequel, Nintendo has truly transformed the gameplay of the original, cutting out some of the inconsistencies and focusing on the gameplay which creates this extremely enjoyable title on the Wii U. Simply put, you control the Pikmin which are a hoard of loyal plant followers that allow you change the environment (e.g. move the Earth), attack enemies and solve puzzles. Consider this the fun console equivalent of a real-time strategy game. These Pikmin are also very life like and it's quite sad seeing them die or chase you when you leave them behind. The story behind Pikmin 3 is oozing with cuteness and follows the story of three interstellar travellers, Alph, Brittany and Charlie who have been sent to the heavens in order to find resources for their civilization. Unfortunately they have crashed landed on this planet and it’s up to the gamer to help save them and their race. 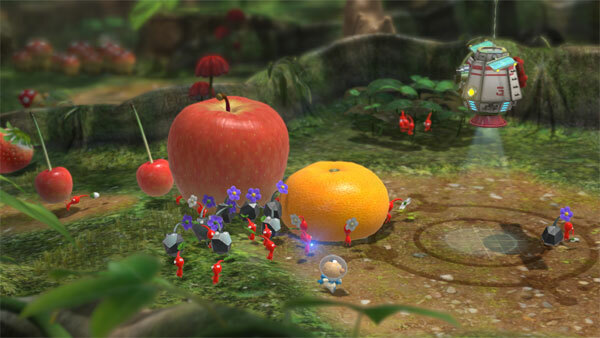 With that said, the ideology behind Pikmin 3 is simple, collect fruit in order to survive. By collecting fruit, it allows you to create fruit juice that is used to power your army. Unfortunately you only have day light hours to collect fruit because the monsters come out at night which in turn kill your Pikmin. Unlike previous games, the player has the ability to control all three characters, which assists in resource gathering and solving a variety of puzzles along the way. 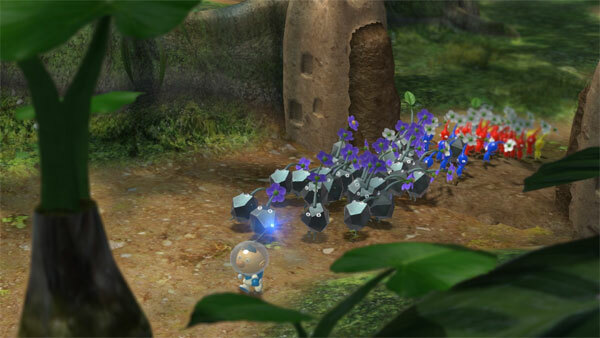 Another highlight of the Pikmin 3 is the new breeds of Pikmin which really adds to the strategy of the game such as the Rock Pikmin who are needed for their fighting skills and look really cool. Each of the Pikmin also have different abilities such as Yellows conduct electricity, Pinks can fly or Rocks can smash etc. I also loved the incorporation of the Winged Pink Pikmin which allows you to fly around the gaming environment and even though they lack the combat skills of Rocks, they do offer some great alternatives to your gameplay. Given that, you still have access to the Reds, Yellows and Blues who have been tweaked for this latest incarnation of Pikmin. Nothing is more satisfying than sending in your army. 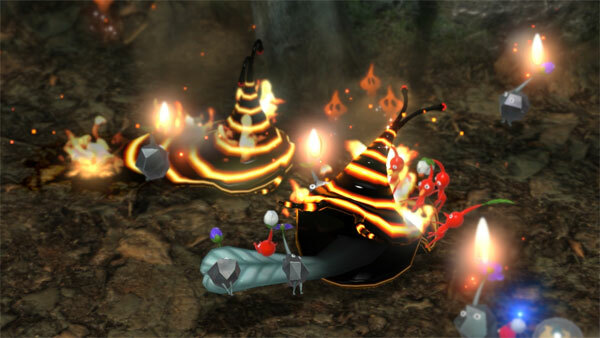 Of course, Pikmin is all about coordination, especially when you face the sometimes-challenging boss battles and if you are not prepared, your armies can at times be left devastated. Needless to say, quite a bit of micromanagement is required to succeed in this game. 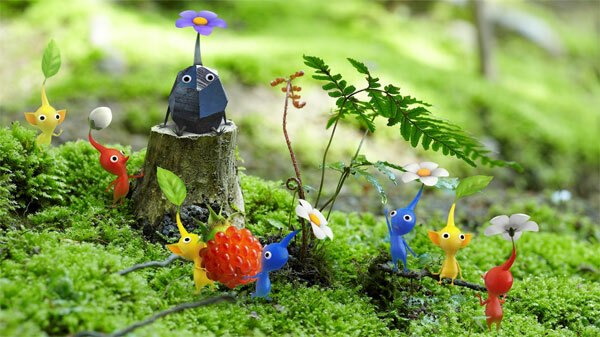 Create Pikmin during the day and hunt for resources and then hide at night. 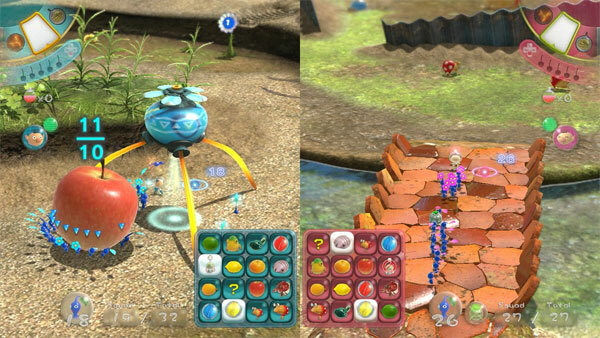 Apart from the main campaign mode in single-player, Pikmin 3 offers a couple of fun multiplayer modes with Mission and Bingo Battle. In mission, there are three cooperative modes that allows players to collect treasure, battle enemies or challenge bosses. The great aspect about this mode is that both players share their Pikmin resources. Then you have Bingo Battle that has players competing against each other to collect all the specific fruit required to notch up a win. It's basically Pikmin Bingo! The first player to collect all the correct 16 fruits wins. The only issue with multiplayer is that it is local only and hopefully Nintendo will address this in the future as these modes would have been fantastic online. Graphically, Pikmin is a great looking game on the Wii U, especially the new HD textures that look amazing. The realistic fernery in the game is almost to die for and the character models interact perfectly with both the gamer and the environment. The cartoon graphics of this game almost feel like a Saturday Morning cartoon come alive and the colour palette is truly magical. The sound of the game is really fun as well, especially the cute Pikmin talking and alien sounds that go hand in hand with the gameplay. Add a wonderful musical score and you're truly in gaming heaven. Who would have thought it has been nearly 10 years since the Last Pikmin game and Nintendo have a real winner on their hands with Pikmin 3 that has not only streamlined the gameplay but seriously improved it. Best of all, the games looks gorgeous in HD and Pikmin have never looked this great! Add in some great single player challenges, multiplayer fun and you’ll be playing this game for a long time. Highly Recommended!